Ellen Mickiewicz is the James R. Shepley professor emeritus of public policy studies, professor emeritus of political science, and former director of the DeWitt Wallace Center for Communications and Journalism of the Terry Sanford Institute of Public Policy at Duke University. She is a fellow of The Carter Center and a member of the advisory board of the Rosalynn Carter Fellowships for Mental Health Journalism. Her 2014 book, “No Illusions: The Voices of Russia’s Future Leaders,” provides an intimate look into the mindsets of more than 100 students in Russia’s three most elite universities on the topics of government, economic policy, and diplomacy. Her previous book, "Changing Channels" is a study of the role and impact of television in Russia from 1985-1999. Her earlier book, "Split Signals: Television and Politics in the Soviet Union," was given the Electronic Media Book of the Year award by the National Association of Broadcasters and the Broadcast Education Association, and she is the author or editor of six other books and numerous journal articles. She is a graduate of Wellesley College and received her doctorate at Yale University. 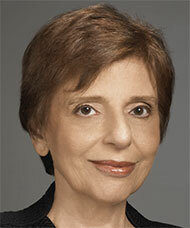 She was Visiting Lombard Professor, Joan Shorenstein Center, Kennedy School of Government, Harvard University, in 2001. Mickiewicz held a Guggenheim Fellowship and has served on the advisory boards of the Council for International Exchange of Scholars, the Kennan Institute of the Woodrow Wilson Center, and the Harvard International Journal of Press and Politics. She was dean of the Graduate School of Arts and Sciences at Emory University from 1980-1985 and a member of the political science faculty at Emory from 1985-1993. Mickiewicz is a member of the Council on Foreign Relations and the American Political Science Association. In 2011, Mickiewicz was named a senior fellow of the Institute for International Cultural Research in Vienna, Austria. In 1997, she was awarded the Murray Edelman Award for Distinguished Scholarship in Political Communication by the American Political Science Association.